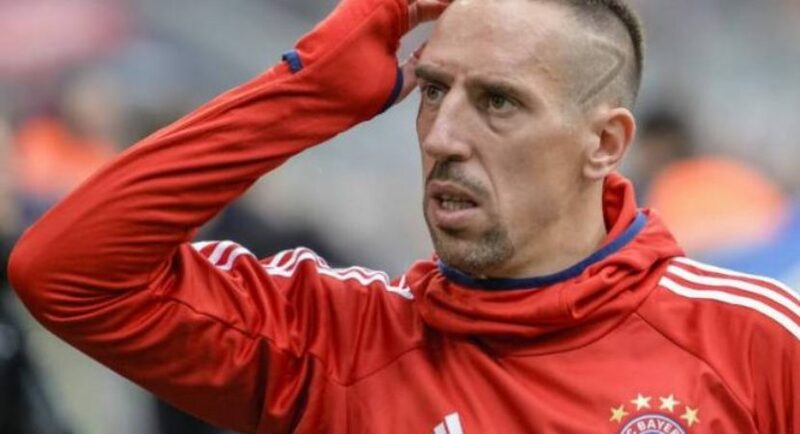 Veteran winger Franck Ribery, 35, has signed a year’s contract extension to stay at Bayern Munich for the 2018/19 season, according to German magazine Kicker on Thursday. Kicker claim Ribery has been told to fight for his place with wingers Kingsley Coman, 21, and Serge Gnabry, the 22-year-old who will return from a loan spell at Hoffenheim, set to be prefered next season. Bayern reportedly received interest in Ribery from clubs in China, Qatar and Turkey. His new contract until June 2019 is a reward for long service at the German champions. He joined from Marseille in 2007 and has made 380 appearances, scoring 117 goals and delivering 176 assists. Ribery played in Bayern’s goalless draw at home to Sevilla on Wednesday when they reached the semi-finals of the Champions League for the seventh time in nine seasons. Ribery has played in each campaign and was a key figure when Bayern won the 2013 treble of Champions League, Bundesliga and German Cup. He has won the Bundesliga eight times, the German Cup on five occasions and the Club World Cup in 2013.